Chase is arguably one of the most recognized card issuers out there, for a reason. The company has built a suite of high-quality credit cards offering perks that cardholders crave and a number of them have landed a spot on our lists of the best credit cards. We’ve vetted Chase’s popular offers to bring you a short list of what we think are the best Chase offers. The marquee feature is the fact that this offer earns up to 5% cash back, but the card is packed with a deep bench of perks that is rare in the cash back category. It's a leading pick no doubt. One card to rule them all is the name of the game here. This offer includes unlimited 1.5% cash back and an innovative bonus of 3% cash back on first year purchases ($20,000 spending cap), plus a long 0% intro APR offer. Chase is beloved among credit card enthusiasts for the protections, benefits, and rewards its cards offer. They lay claim to some of the best credit cards available, especially when it comes to travel rewards and cash back. This guide explains everything you need to know about Chase and how we chose our top picks. We developed The Ascent’s credit card ranking philosophy by analyzing over 300 different credit card offers and thousands of data points, ensuring that our picks will actually help your wallet. As personal finance writers, we’ve collectively written more than 2,300 articles that have been featured on AOL, Yahoo!, and MSN; and as credit card enthusiasts, we’ve personally tried most of the cards we recommend. What are Ultimate Rewards® points worth? Evaluating the value of a credit card is all about balancing the costs against the benefits. These costs can come in the form of annual fees, a high APR, balance transfer fees, or foreign transaction fees, while benefits can include travel rewards, cash-back rewards, a 0% intro APR, or premium perks. Chase offers a wide range of different credit cards for every need. These include travel credit cards, cash-back credit cards, balance transfer credit cards, and business credit cards. Our top picks include travel credit cards and cash-back credit cards, so we’ll explain the difference between the two. Travel credit cards are designed to be used by regular travelers. They usually incorporate a higher rewards rate for travel spending and additional perks for travelers, and the rewards you earn typically come in the form of miles or points that can be used to pay for travel purchases. When it comes to Chase, their travel credit cards earn Ultimate Rewards® points that can be used to book travel or transferred to a handful of travel partners. Cash-back credit cards tend to offer a slightly lower rewards rate, but their rewards are more useful for many people. Instead of earning points you might not be able to redeem, you earn cash back on every purchase you make. Flat-rate cash-back cards provide a flat rate back, often 1.5%, on every purchase, while credit cards with bonus categories will provide a higher cash-back rate on certain purchases, such as 3% to 5%, and a flat rate of 1% back on all other purchases. It’s well known now that you cannot be approved for most Chase credit cards if you’ve opened five or more credit cards in the past 24 months. But there’s more you need to know about Chase’s infamous 5/24 rule. There are some exceptions to this rule. First, most business credit cards don’t count toward the 5/24 limit because they aren’t on your personal credit report. However, business credit cards opened with Capital One, Discover, or TD Bank will count toward your 5/24 limit as these banks do report to your personal credit report. A handful of Chase’s co-branded credit cards, which are credit cards offered by both Chase and a partner such as an airline or hotel chain, do not follow the 5/24 rule. However, there’s no published list of which credit cards operate this way, so it’s best to stay under the limit if you’re going to apply for any Chase credit card. All of our top picks require that you be under 5/24 in order to receive approval. When redeemed through the Ultimate Rewards® travel portal, Chase Ultimate Rewards® points are worth $0.01 each. However, as a Chase Sapphire Preferred® cardholder, you’ll get a 25% bonus on your points, making them worth $0.0125 each. If you have the Chase Sapphire Reserve®, you’ll get a 50% point bonus, making them worth $0.015 each. On top of that, you can transfer your Ultimate Rewards® points to a number of different airlines and hotel chains. As explained below, this option can get you more bang for your buck, yielding up to $0.04 per point. When deciding how much Chase Ultimate Rewards® points are worth, you should consider the variety of redemption options available. We estimate that Ultimate Rewards® points are worth $0.02 each. The process of transferring your points is simple, and although your points may not transfer over immediately, it should happen pretty quickly. Follow the steps listed below. Check the dates of your reservation with the airline or hotel you’re interested in to make sure they’re available. Confirm the number of miles or points you’ll need to book. Log into your Chase account and click on “Redeem rewards” in the top right. Select the partner you’d like to transfer to and enter your loyalty program information. If you’re not a member of their loyalty program yet, you’ll have to sign up before transferring your points over. Enter the number of points you would like to transfer (for most partners you must transfer in 1,000 point increments) and confirm on the following page. You can also book travel directly through the Ultimate Rewards® portal using your points. The portal allows you to book flights, hotels, cars, and even activities and cruises using your points as cash. This is a good value, but as we’ll discuss below, you can often squeeze even more value out of your points by transferring them. The best way to maximize your Ultimate Rewards® points is by applying for the Chase credit card that’s best for you. However, there are plenty of other ways to boost your earnings. Following these tips could help you earn over 100,000 Ultimate Rewards® points. Time your applications to make sure you’ll hit the minimum spending requirements, as the 50,000 point sign-up bonuses can be worth $625 to $750. Chase’s business credit cards also offer generous bonuses, with an 80,000 point public offer on the Chase Ink Business Preferred® that’s worth $1,000. The best part about that offer is their business credit cards don’t count toward the 5/24 rule. Chase’s cash-back credit cards are unique in that you can convert your cash-back rewards to Ultimate Rewards® points as long as you hold one of their Ultimate Rewards® earning credit cards as well. 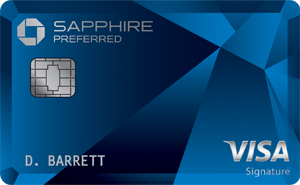 Pair one of Chase’s Sapphire cards with one, or even both, of their Freedom cards. When you’re dining out or traveling, use your Chase Sapphire Reserve® to get 3 points for every $1 you spend. When spending within the rotating bonus category on the Chase Freedom®, using that card instead will get you 5 points per $1 spent. If you prefer an easier way to track spending, use the Chase Freedom Unlimited® on your non-dining and travel expenses for a flat rate of 1.5 points per $1 spent, after the 3 points per $1 spent. This will maximize the Ultimate Rewards® points you’re able to earn. When you log into your Chase Ultimate Rewards® account, one of the options is to browse their shopping portal. If you do your shopping through this portal, you can get bonuses on your spending -- sometimes up to 5 points per $1 spent. There are plenty of major retailers on this portal that you may already be shopping at anyway. You can score a generous point bonus by referring friends to the Chase credit card you hold. 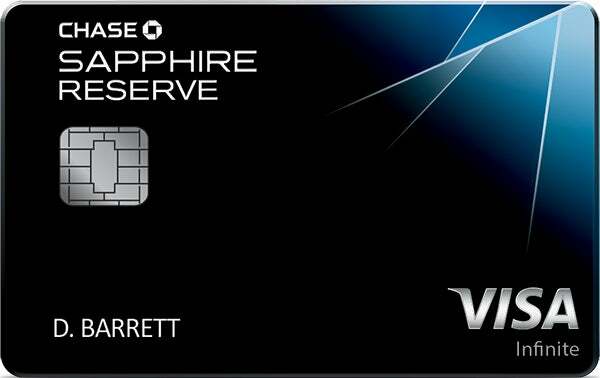 For example, Chase Sapphire Preferred® cardholders get 10,000 points for each person they refer who is approved, up to 50,000 points per year. You can get your unique referral link by visiting the Refer a Friend section on your Chase account. This is a smart way to max out your bonus category spending on the Chase Freedom® nearly every quarter. When the bonus category includes a place that sells gift cards, such as groceries or office supply stores, you can purchase gift cards at both of those places for stores you plan to shop at that don’t earn bonus points. Instead of using your Chase Freedom® to purchase that $500 television you need from an appliance store, buy a $500 Best Buy gift card at the supermarket. You’ll get 2,500 points on that purchase instead of 500. You can even buy Visa and Mastercard gift cards and use them to purchase just about anything. The Ultimate Rewards® program is praised for its flexibility, and indeed, you can redeem your points for a pretty wide variety of reward options. However, that doesn’t mean they’re all worth the same. Here are some tips for how to make the most of your redemption. Transferring your points to one of Chase’s airline or hotel partners is typically how you get the most value out of your points, but you have to transfer them wisely. You want to aim for at least $0.02 per point. To do this math, divide the dollar price you’d normally pay for the price in points -- this number should be at least .02. For example, if you can book a Hyatt hotel room that would normally cost $600 for 15,000 points, you’d be getting an excellent value of $0.04 per point. Gift cards can be purchased at a price of $0.01 per point, which is a lower value than travel redemption options. Sometimes they do offer a 10% discount, but that still only gets you $0.011 per point. Likewise, while the option to redeem your points when checking out on Amazon is convenient, you’re still only getting a value of $0.01 per point. The cash-back option also offers a similarly poor value in comparison to travel redemptions. Again, you’ll get $0.01 per point you redeem. If it’s travel you’re after, the Chase Sapphire Reserve® is a wise choice for its premium travel benefits alone. However, as a Chase Sapphire Reserve® cardholder, you also automatically get a 50% point bonus when you redeem through the Ultimate Rewards® portal, making each point worth at least $0.015. Bonus: 60,000 points after spending $4,000 on purchases in the first 3 months. Worth $750 redeemed for travel through Chase's portal. Bonus: 50,000 points after spending $4,000 on purchases in the first 3 months. Worth $750 redeemed for travel through Chase's portal. Rewards Program: 2x points on travel and dining, 1x points on all other purchases. 25% more points for travel booked through Chase's portal. Rewards Program: 3 points per $1 on travel and dining, 1 point per $1 on all other purchases. 50% more points on travel booked through Chase's portal. To help you break down the differences between each of our favorite Chase credit cards, we've created the below to help you compare Chase's popular cards by category. The cards presented are all great choices, but some are better than others depending on your rewards goals and spending habits. Here are a few questions to guide you when choosing a Chase credit card. Do you want cash back or travel rewards? In theory, Chase’s travel rewards credit cards offer a better value. Not only is the overall rewards rate higher, but if redeemed properly, you can get $0.02 to $0.04 out of each point. However, this only works out if you travel often enough to use your points and if your travel plans fit with redemption options. If you can’t get the most out of your travel points, you should opt for cash back. 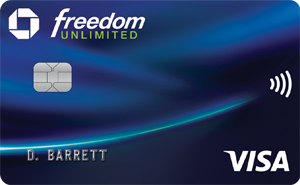 As mentioned above, if you already have one of the Sapphire cards, you can get one of the Freedom cards and convert your cash back to points, essentially turning them into travel rewards credit cards. If you want travel rewards, how much do you travel each year? Travelers who go on more than a couple trips per year stand to benefit from choosing the Chase Sapphire Reserve® over the Chase Sapphire Preferred®, as higher spending on travel makes the annual fee on the Chase Sapphire Reserve® worth it. With the Chase Sapphire Reserve®, you’ll get a $300 annual travel credit, which brings the $450 annual fee down to $150, making it only $55 more than the Chase Sapphire Preferred®. At $0.02 per point, you’ll have to spend about $917 per year on travel to recoup that $55 difference, which shouldn’t be hard. None of this takes into account benefits like airport lounge access and Global Entry or TSA Pre✓® reimbursement. If you want cash-back rewards, do you prefer flat rate or rotating bonuses? Maxing out the bonus categories would get you $300 in cash back annually off of just $6,000 in annual spending. Alternatively, you’d have to spend $20,000 annually on the Chase Freedom Unlimited® to get $300 in cash back, after the 3% cash-back deal on up to $20,000 expires after the first year. Even spending closer to $1,000 each quarter on the category bonuses will get you a great value from the Chase Freedom®. However, if the categories don’t apply to your spending habits, you could be out of luck, whereas the Chase Freedom Unlimited® is guaranteed to get you cash back. Would you consider applying for more than one Chase credit card? The best deal, if you’re willing to juggle more than one Chase credit card, is to alternate between rewards credit cards depending on what you’re purchasing. Pairing the Chase Freedom® and Chase Freedom Unlimited® is a great way to take advantage of both the 5% category bonus and the 1.5% flat rate cash back, after the 3% cash-back deal on up to $20,000 expires after the first year. If you travel, pairing one (or both) of the Freedom cards with one of the Sapphire cards and transferring your cash back to Ultimate Rewards® points will maximize your travel rewards. It’s also wise to have an alternative to the Freedom cards while abroad as they do charge a 3% foreign transaction fee. Chase has many of the best credit card offers on the market. So great, in fact, that it can be tempting to apply for a few of them. While this can help you maximize rewards, make sure to stay organized and pay off each balance in full every month. Otherwise, the interest fees will greatly outweigh the benefits you receive.